One of the best things about living in a city is the access to the arts. And Tokyo doesn’t disappoint. 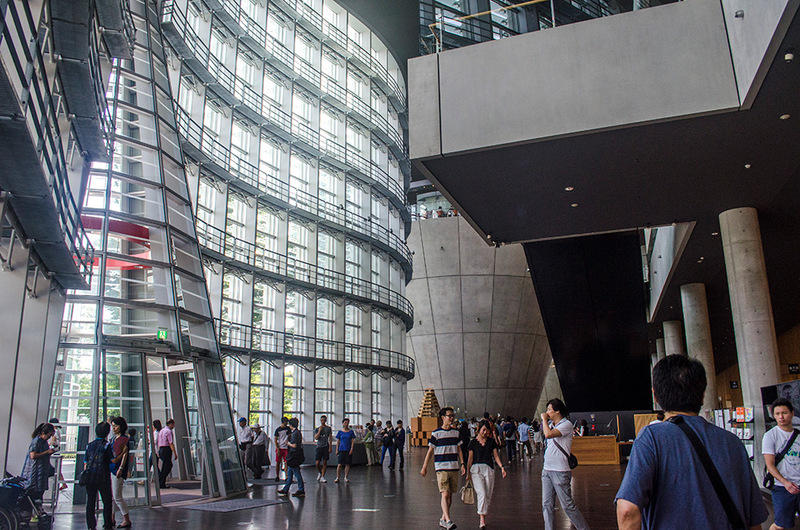 Tokyo has plenty of fun things to do, including some amazing art museums. You can see everything from traditional Japanese ceramics to world-renowned artists. Best of all, the top art museums are all within walking distance of one another. In fact, the Japanese National Tourism Organization have a name for this area: Art Triangle Roppongi. 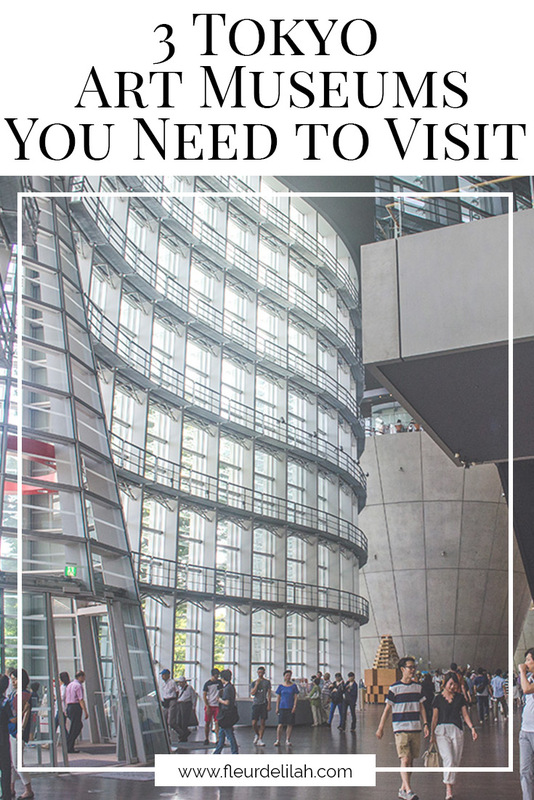 Art Triangle Roppongi is made of three of the biggest art museums in the country, and these three are the Tokyo art museums you need to visit. What is Art Triangle Roppongi? Art Triangle Roppongi, or ATRo for short, refers to a collaboration among three of Tokyo’s top art museums: Mori Art Museum, Suntory Museum of Art, and National Art Center Tokyo. Located in the center of Tokyo, their mission is to serve as a cultural hub and promote art appreciation. Located on the 53rd floor of Mori Tower in the ritzy Roppongi Hills, Mori Art Museum (MAM) is everything a contemporary art museum in the city should be and more. This museum hosts some of the most appealing exhibitions; even those who don’t normally go to museums will like something at MAM. Past exhibition themes include Sailor Moon, Star Wars, Takashi Murakami, and more! Meanwhile, those interested in more traditional art, specifically Japanese arts and crafts, will love Suntory Museum of Art (SMA). SMA was founded in 1961, and since then has been an authority in Japanese traditional artworks. Currently, Suntory Museum of Art has collected over 3,000 pieces reflective of Japanese history and culture. The collection includes paintings, lacquerware, glass, and ceramics. The National Art Center (NACT) is one of five government-sponsored art institutes and is one of the largest exhibition spaces in Japan. Unlike other museums, however, NACT uses this space differently. Instead of maintaining a permanent collection, all 14,000 square meters are dedicated to traveling exhibits and special exhibits. Some larger exhibits the National Art Center has hosted recently include Mucha, Renoir, Tadao Ando, and Shinkai Makoto (director of the hit movie “Your Name”, 君の名は). Keep your ticket stubs if you want to visit all three of these Tokyo art museums. By showing a ticket stub from another ATRo museum, you will get discounted admission to the other two galleries! The ticket stub must be for a current exhibit. In addition to these three museums, two other galleries are in the ATRo area — Tokyo Midtown Design Hub and 21_21 DESIGN SIGHT. Tokyo Midtown Design Hub was launched in 2007 and connects people, businesses, and ideas through design. 21_21 DESIGN SIGHT, created by famed designer Issey Miyake and renowned architect Tadao Ando, explores everyday life from a design perspective. Both of these museums are located within the Tokyo Midtown complex grounds. Which one of these Tokyo art museums do you want to visit? Let me know down below!